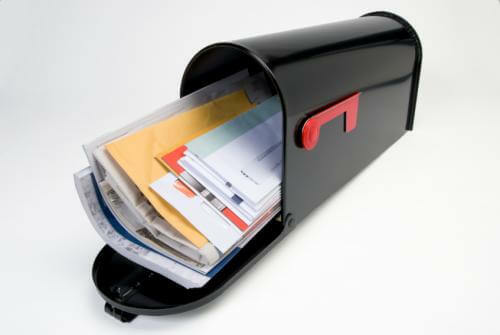 So, you need to order a mailing list for a direct mail or related campaign. Nothing could be simpler, right? After all, you just need somebody to send you a bunch of names and addresses. Unfortunately, the reality of purchasing a list that will produce the desired results is a bit more complicated than it might seem. The following tips will help clarify the process so that you can go into it with eyes wide open. records: analogous to “rows” in popular database software applications like MS Access or MS Excel, a record is one contact person’s (or company’s) set of data. One contact = one record. Your list will have 100s or as many as 10,000s of records. fields: analogous to “columns” in database software applications, a field is the type of data available about each record, such as name, address, etc. Your list will likely have 7-15 or more fields. There are many, many more possible selects than what is shown above. Work with your provider to choose selects that target those prospects who are most likely to buy from you. It is important to note that your desired selects are not necessarily the same as your desired output fields, but the two may overlap. Output fields are discussed next. Since you have already added a filter via the selects you chose earlier, the output records you receive will only contain data that is within the ranges that match your selects. In other words, if your selects included targeting only those prospects in Colorado, then no prospects outside of Colorado would be included in your final list. Common sense, but worth mentioning. Finally, decide how many records you want to buy. This is a bit of a chicken and egg issue. Reason: you will need to have your list provider initially “run some counts” using your given selects in order to find out the maximum number of possible records that match your select criteria. If the result is more records than you require, you will want to come up with more focused selects by narrowing some of the ranges. Conversely, if you require more records, you will want to increase those ranges and re-run the counts. Once you have the counts that match your needs – and provided that the price is right – it’s time to order your list. The final list will be sent to you usually as a .txt or .csv file. You can open these fields to inspect them using MS Excel, MS Access, or other popular database software applications. Be sure to check the final list to make sure it matches all of your desired criteria. Now it’s time to go after those new prospects. Happy hunting!